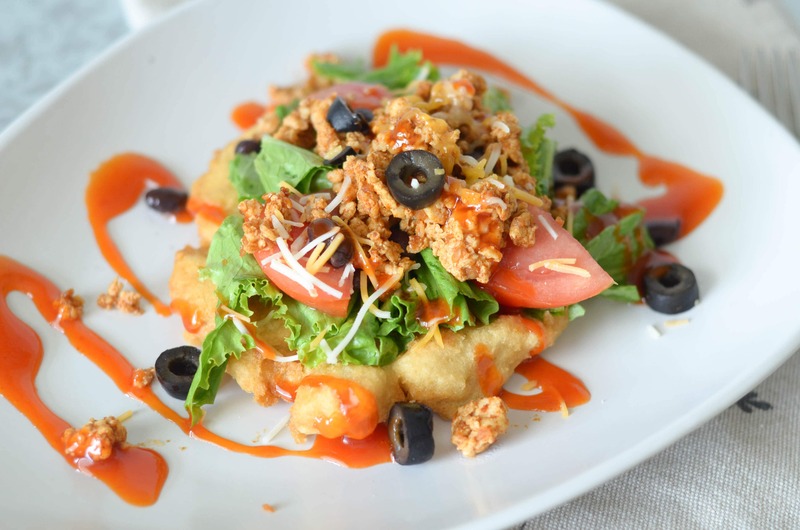 Gluten Free Indian Tacos are made with a homemade gluten free fry bread, perfect for all! I have been craving Indian Tacos for a while now, a long while. 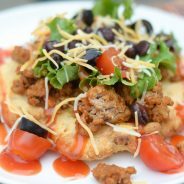 I kept telling my husband I was going to try to make these soon but had really no luck finding a good gluten free fry bread. So, I decided to adapt the Indian Fry Bread recipe from Pioneer Woman. I mean we all know her recipes are typically golden, right? I had to make a few minor adjustments, of course primarily I swapped the regular flour for gluten free all purpose flour. I almost always use Better Batter. 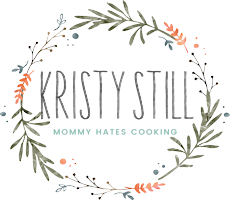 I am ask that question many times but honestly I have NEVER found a better flour for gluten free than Better Batter. 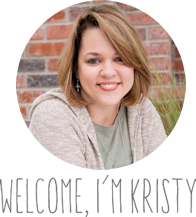 They don’t pay me to say that either, I do write menu plans for them and they do provide me with product; however, I have tried just about all the gluten free flours out there and that one is one I can use knowing it will always work. I like that I don’t have to buy more than one flour either, I just buy that one and that’s it! Next, I had to add a little more water than her recipe accounts for to get to the right consistency. I also think my fry bread was a bit smaller than hers possibly; however, it worked out really well. I was able to make enough for 6 which was perfect for our family to enjoy these Indian Tacos. Then, for the tacos I used our taco salad recipe topping them with basically all the toppings we use for our taco salad. These hit the spot! 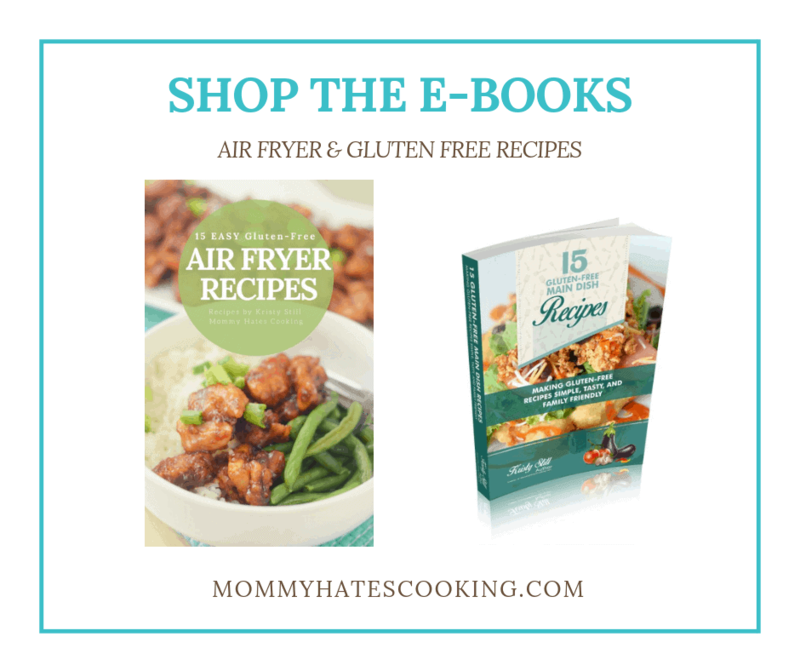 The gluten free fry bread was absolutely perfect and great to use with a variety of recipes. My son and my daughter were scarfing theirs down along with my husband. 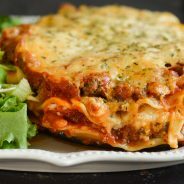 It’s always feel like I won a gold medal when my ENTIRE family likes the dish! Doesn’t it feel that way for you? Ready for this tasty meal? Eat up! 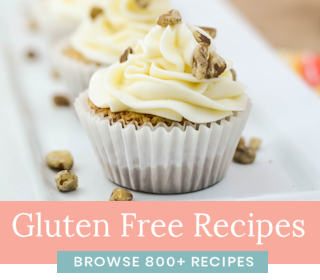 Remember, if you are not gluten free you can make these with regular flour too. 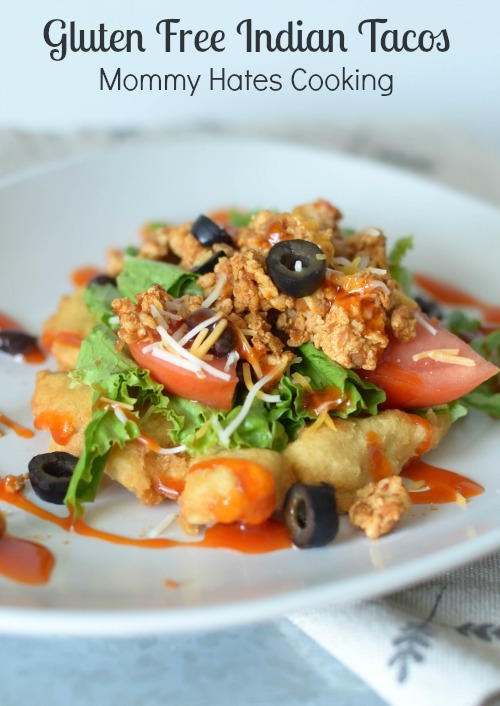 If you want to skip the bread, try this Easy Taco Salad! I use Better Batter to make these. 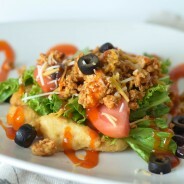 Make a delicious Gluten Free Indian Taco with Gluten Free Fry Bread. 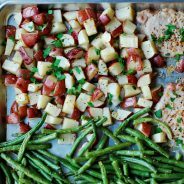 Once you are ready to make the bread, using a cast iron skillet, heat up the oil on medium-high heat. I typically will add about 1-2 inches of oil enough to cover half the bread. Grab a handful of the dough, then spread it to the size you prefer. These were about 5 inches across for me when I was making them. Place the dough in the oil and let it fry on one side about a minute then turn and fry on the other side. Place on a paper towel lined plate until ready to serve. This should make about 6 fry bread; however, it will vary depending on the size. Once they are done, top with your taco toppings and serve with dressing. I don’t think we can get that flour mix in Canada, any other recommendations? Bob’d Red Mill? Amy’s? I believe you can order Better Batter online but if it doesn’t ship to Canada, I also like Bob’s Red Mill and King Arthur too. I haven’t tried Amy’s in this yet. You can use any of those that you mention. I actually think Better Batter is based in Canada, but I don’t know how they sell it there. Hi do you think I could sub the milk for soy or almond milk? 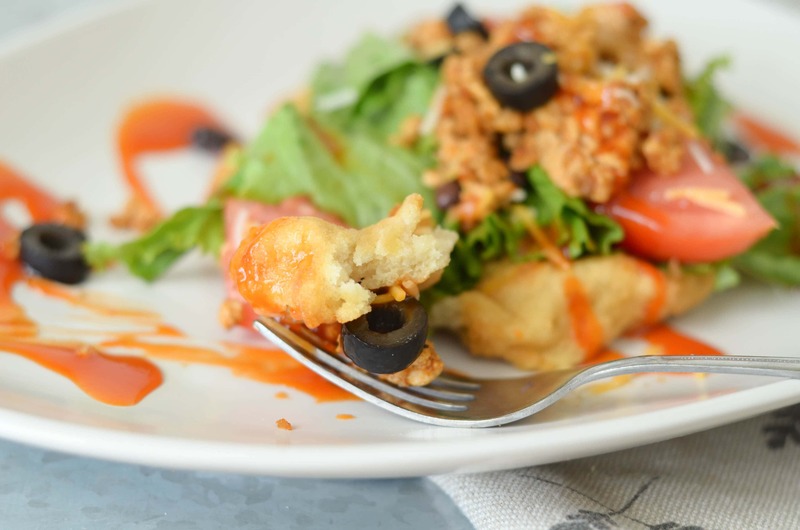 Without a doubt the best gluten free fry bread I’ve had! Crispy on the outside and chewy on the inside, while remaining wonderfully soft. I will be making this a lot! I can’t stop talking about how good and *simple* it is. Yay!! That just makes my heart happy to hear. It’s so EASY! Who would have though, right?! Enjoy! I made these tonight using Steve’s Gluten free bread flour blend, and they turned out really good. I really like the way the dough doesn’t stick very much, and I didn’t need hardly any dusting flour. Yay! So glad they turned out well for you. I haven’t heard of Steven’s GF Bread Flour, I’ll have to check that out too. I bet that’s good with several recipes. YAY! So glad to hear that and thank you for leaving how you did it as well. This is great info. Has anyone had success with this recipe using a dairy free milk – coconut, almond, rice?